Huawei Technologies continues to defy the market, doubling its profit last year despite a capital spending slowdown by operators worldwide thanks to the massive 3G investments coming from the Chinese mobile operators. The privately-held Chinese vendor yesterday announced a full-year profit of 18.3 billion yuan ($2.7b), up from 7.85 billion in 2008, on sales of 149.1 billion yuan ($21.8b). 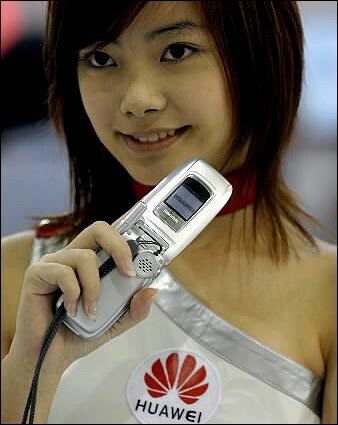 Huawei predicts year-on-year revenue growth of 20% in 2010, driven by increased broadband rollouts, smartphone adoption, and higher demand for professional managed services and currently supplying 45 of the world’s top 50 operators, up from 36 in 2008. The result makes Huawei the most profitable telecom vendor and the second biggest in the market by sales, overtaking Alcatel-Lucent and Nokia Siemens Networks during the year. Market leader Ericsson last year posted $29 billion in revenue and $1.6 billion in net income. Alcatel-Lucent recorded €15.15 billion ($20.4b) in sales but finished €524 million in the red. ZTE, the 2nd largest network vendor in China has a forecast of finishing the end of 2009 with slightly over $400 million.